Maria is a creative person with social and research skills and she is fascinated with exploring different environmental issues. During her studies she has conducted research on the spatiotemporal distribution and feeding behavior of many bird species. Her PhD focused on discards management from a socioeconomic point of view, by examining fishers’ perceptions on the implementation of the EU landing obligation, developing a monitoring framework with indicators and conducting bioeconomic simulations to assess the multidimensional effects that this regime might have on Mediterranean fisheries. 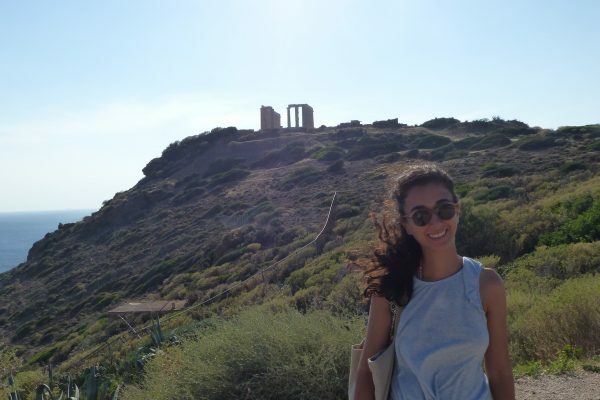 She received funding from the Hellenic Center for Marine Research (HCMR) and the MINOUW project (European research and innovation program Horizon 2020). Throughout her career, she has been trained in multi-faceted collaborations, both research and non-research, and has acquired skills so that she can produce informed knowledge and properly evaluate the available information. Her main areas of interest are: Fisheries science, Discards and Bycatch management, Ornithology, Social capital, Social-ecological systems, Circular economy, Environmental Economics, Development of indicators.